My main subject at the School Of Decorative Arts was carving. 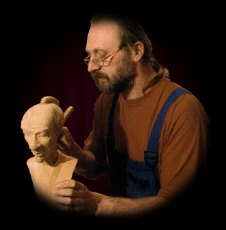 After graduating I got a job at the ULD puppet theater in Prague where I carved many puppets. Then I moved to the Jiri Trnka’s studio and into the world of puppet movies. During that period I also worked on my own projects for various Prague puppet theaters and galleries. Since 1990 I’ve been carving puppets in my private workshop. In the last 20 years I’ve been working with German theaters "Kobalt Figurentheater" in Berlin and Theater SALZ+PFEFFER" in Nürnberg, a Danish theater in Skorping, a Swedish theater in Lund, and a Belgian theater in Gent. I’ve also created workshops in Sweden, Denmark, Great Britain, Australia, Germany, Belgium and Czech Republic. 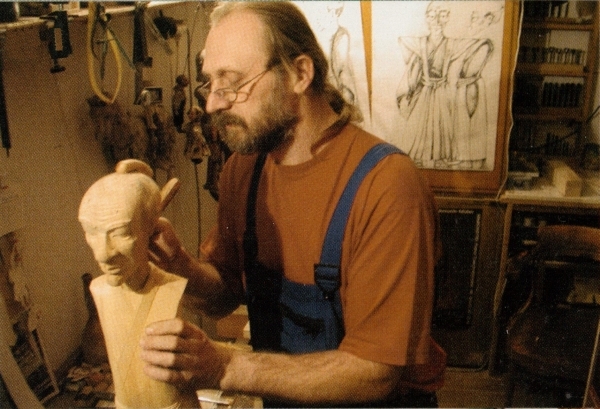 In 2002 I carved marionettes and wooden sculptures for Kaikyo Drama Museum in Japan. I the past years I’ve become a permanent contributor for Theatre Spejbl & Hurvinek in Prague. All my puppets are created at the highest professional and technical level and are intended for professional puppeteers and puppet theaters.